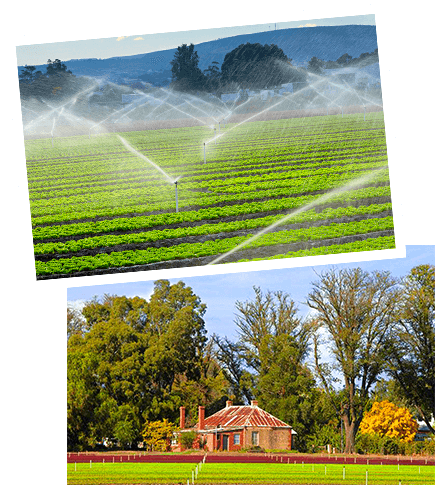 Leafy Patch gourmet salad varieties are grown in Victoria and packed fresh at the farm to the highest quality standards.  Let your tastebuds enjoy our tasty range of healthy leaves and salad mixes. 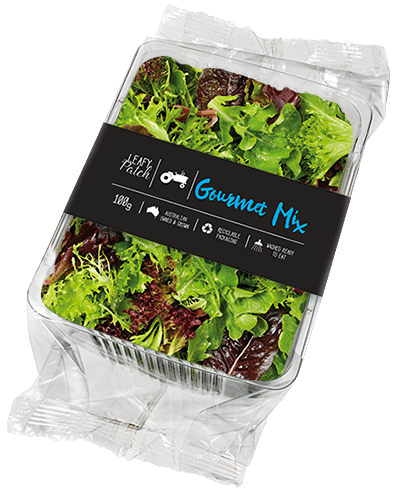  View Product Gourmet Mix Leafy Patch Gourmet Salad Mix creates a vibrant, refreshing and satisfying daily salad dining experience. 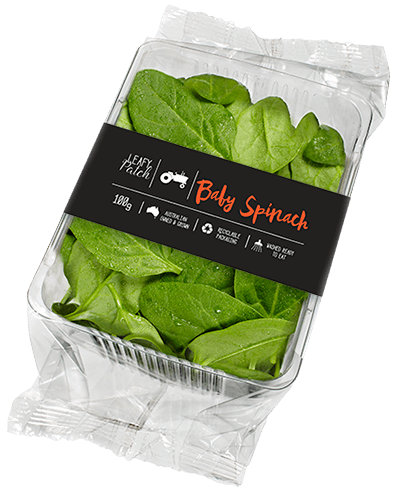 View Product Baby Spinach Baby Spinach has soft deep green leaves with a pleasant and mild flavour. 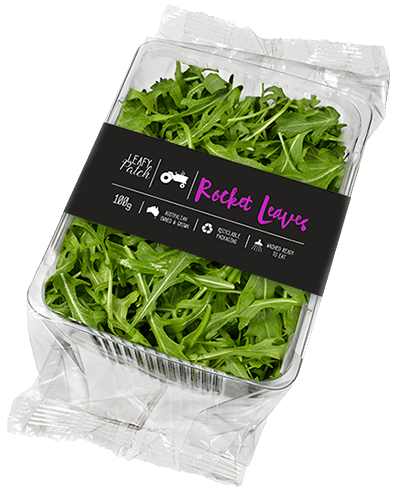 View Product Rocket Leaves Leafy Patch Rocket Leaves have a distinguished taste, a peppery bite, serrated foliage and an intense aroma. 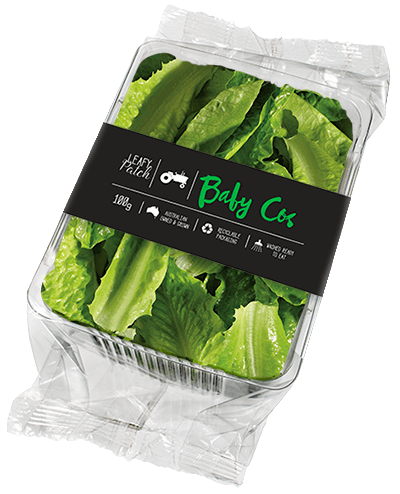  View Product Baby Cos Lettuce Baby cos is much smaller than mature cos lettuce and lighter in colour.  It's flavour is delicate , with a crispy crunchy texture. 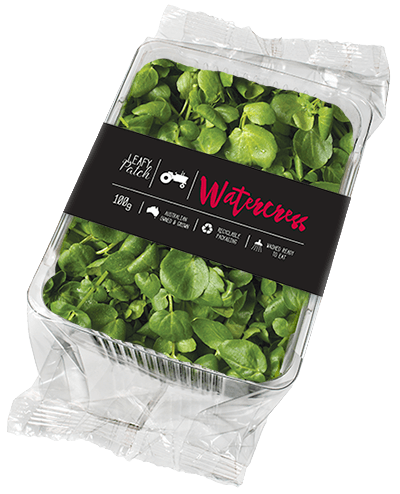 View Product Watercress Leafy Patch Watercress is a herb renowned for its peppery, tangy flavour. View Product Baby Kale Leafy Patch Baby Kale has a unique, mild taste with a terrific crunchy texture. View Product Baby Sorrel Leafy Patch Baby Sorrel leaves have a distinctive fruity lemon taste.